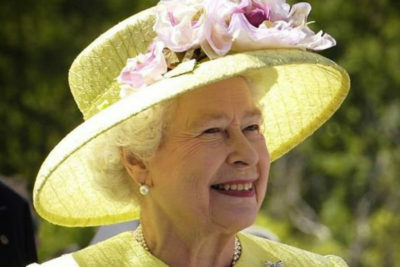 What a surprise to hear that Her Majesty, The Queen will be coming to Chichester Next Thursday , 30th November! She will be visiting the Festival Theatre during the morning and after lunch she will visit Canine Partners National Training Centre, in Midhurst. She will be accompanied by the Lord-Lieutenant of West Sussex, Susan Pyper and the Vice Lord-Lieutenant, Harry Goring. They will be greeted at the festival theatre by Daniel Evans, artistic director and Rachel Tackley, executive director; Chichester MP Gillian Keegan; and leaders of West Sussex County Council and Chichester District Council. There will be a special performance by Chichester Festival Youth Theatre, including a scene from their forthcoming Christmas production Beauty and the Beast. Songs from CFT’s acclaimed production of Fiddler on the Roof will be performed by stars Omid Djalili, Simbi Akande, Lucinda Lawrence and Rose Shalloo. The Queen will then be entertained to lunch in the theatre restaurant, with guests including Dame Patricia Routledge who first appeared at the theatre in 1969 and is also a Chichester resident. Her Majesty first visited the Theatre on July 31, 1962 during its inaugural festival season, when she and HRH The Duke of Edinburgh attended a charity performance of Uncle Vanya, directed by Sir Laurence Olivier, the theatre’s first artistic director.